Someone is forcing me to post this... Help! Special page to be watched in Firefox. Will be updated with the forthcoming episodes. Exactly a year ago today, I saw the film 'In My Father's Den', by Brad McGann. It made a very strong impression on me and, to tell the truth, I have never quite recovered from it... 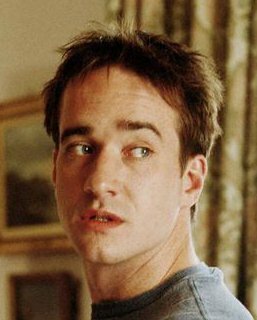 In my humble opinion, this is the best ever film starring Matthew Macfadyen. I was extremely saddened to learn that its young and talented director died earlier this year (on 2nd May). For this special anniversary, I wanted to make a video as a tribute to Brad McGann. I posted it on YouTube a few days ago. For those who have broadband and Firefox, the original better-quality video can be watched on my website.